The LIQUID LEVEL CONTROLLER automatically controls liquid level. Built-in alarm to detect overfill or low level. Rugged. Built for rough, wet and corrosive environments. NEMA 4X rating. Reliable. Floats are protected inside a pipe and completely screened in. Adjustable depth. Both float switches can be adjusted with no tools. Easy installation with a piggyback plug. Just plug in your pump up to 15A. Versatile. Switch between pump-down or pump-up operation. Emergency level alarms for high and low level with Loud 103dB buzzer. Warbling tone cuts through the loudest industrial noise. The Level Controller will automatically cycle your pump to keep your tank filled, or empty as needed. 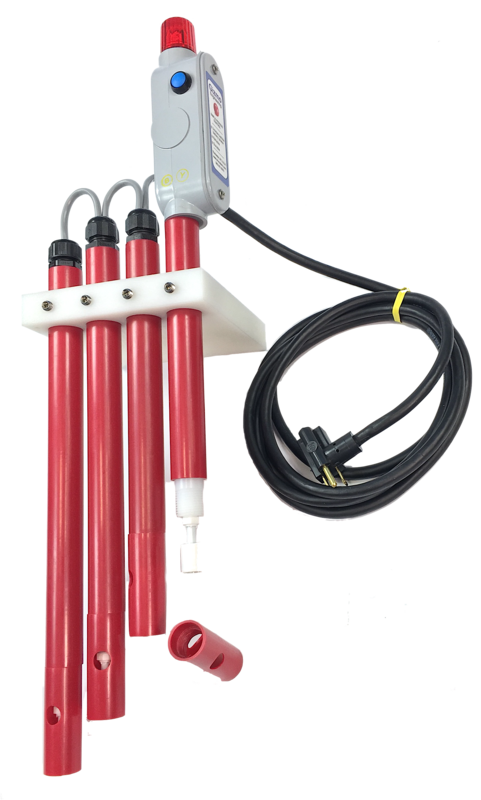 In tank-filling mode, when the liquid level drops to the bottom float switch, the LC-2 Pump Controller turns on your pump to fill the tank. When the liquid level rises to the high level float, the LC-2 shuts off your pump. The cycle repeats automatically as needed to properly maintain your liquid level. To switch between to pump-down mode, simply remove a circuit board jumper. 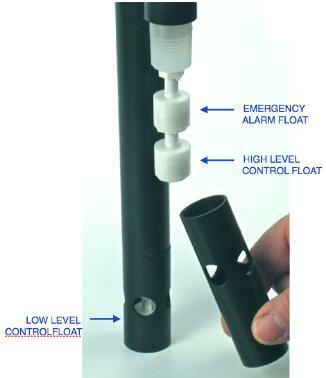 If there is a problem that causes the liquid level to rise above the high level-control float, or fall below the low-control float, extra “emergency” floats produce an alarm. (so there are a total of 4 float switches altogether) This emergency alarm produces a flashing LED and loud warbling buzzer that can be heard through industrial plant noise. The emergency alarm float is also a redundant relay shutoff. The audio buzzer has a silence button with a 30 minute snooze alarm standard so the alarm won’t be forgotten. The Pump Controller is designed to be quickly installed and working in a few minutes with no tools. Simply mount it on your tank and adjust the depth of the high and low float with the thumb screws. The standard high level pipe is 8 inches long. The low level float pipe can be 10 inch, 20, 30″ etc. Each of the pipes is adjustable for most its entire length. For example, a 20 inch long low float pipe can be adjusted from 5-20 inches working depth. To connect your pump or solenoid, it comes with a convenient piggyback plug so you can simply plug in your pump directly. 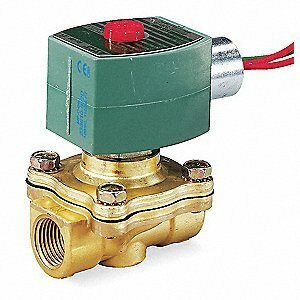 Alternatively we can supply a solenoid valve wired to the Level Controller as an option. Here is a breakdown of the part number LC2-PP for example. 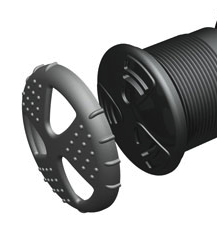 Polypropylene pipe and float switch. A bracket designed for mounting on open top tanks and containers. 1.3 inch dia. hole accepts adjustable collar. A button box connected by 10ft of cable so slience/testing can be done in convenient locations. Adapt to your tank from the 1″ NPT cord grip. With 10 ft cord. Red Hat brand.